Your thyroid gland may not be your most high-profile body part, but your life still depends on its working properly. 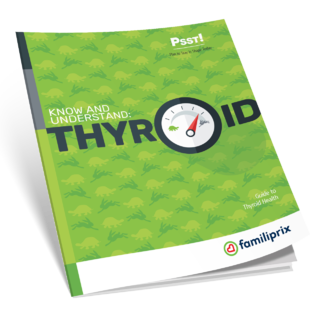 It’s estimated that thyroid problems affect 1 to 5% of Canadians, with women four to seven times as likely as men to be affected. And nearly half of all sufferers don’t even know they have a disorder. This means that at one time or another many people have thyroid disease but don’t get treatment. Unfortunately a number of health problems can develop if your thyroid gland isn’t working properly. A poorly controlled thyroid can lead to infertility, arthritis, diabetes, and heart disease, to name a few. That’s why it’s important to check that your thyroid can do and is doing its job. Know this, however: thyroid gland disorders generally respond well to treatment and can be well controlled.